Thailand is one of the world's most visited countries. More than 29 million people traveled to the Kingdom in 2015. This comes as no surprise to the many people who know and love the country and her people. 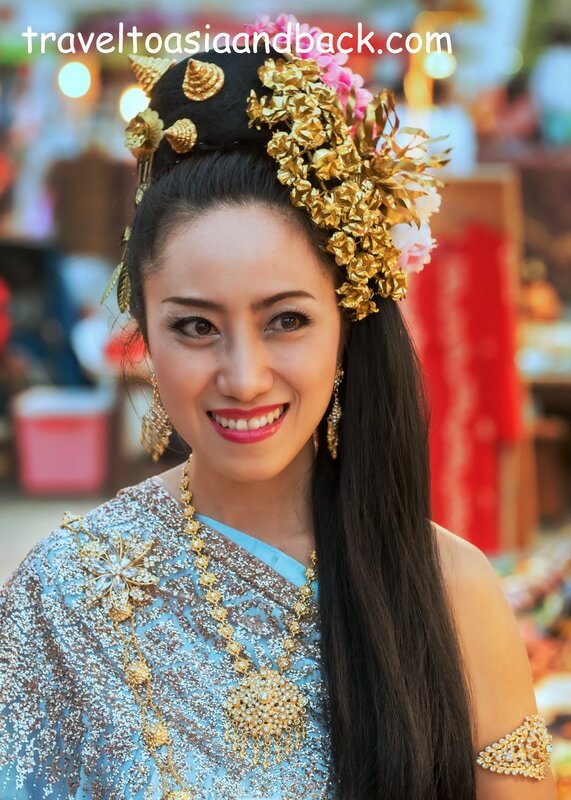 Often referred to as the Land of Smiles, travel in Thailand is extremely safe, economical, easy and fun. 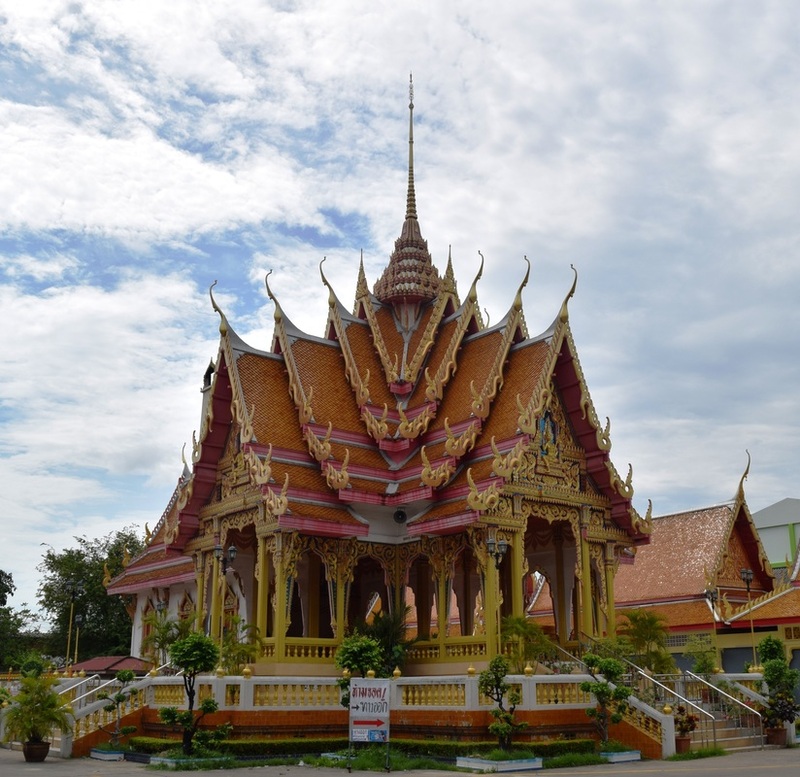 With a tremendous range of transportation, accommodation and dining options, Thailand can be toured in five-star luxury or on an ultra-low backpacker’s budget. Get out of the big cities and away from swanky beach resorts and you will find that the prices for accommodations, food, transportation and tours are very reasonable. Simply put, Thailand is a budget traveler’s paradise. Thailand is well known for its cultural diversity, fantastic food, historic sites, white sand beaches and world-class shopping. The Kingdom offers so many activities and sightseeing opportunities that every visitor is guaranteed to find something interesting to do or see. 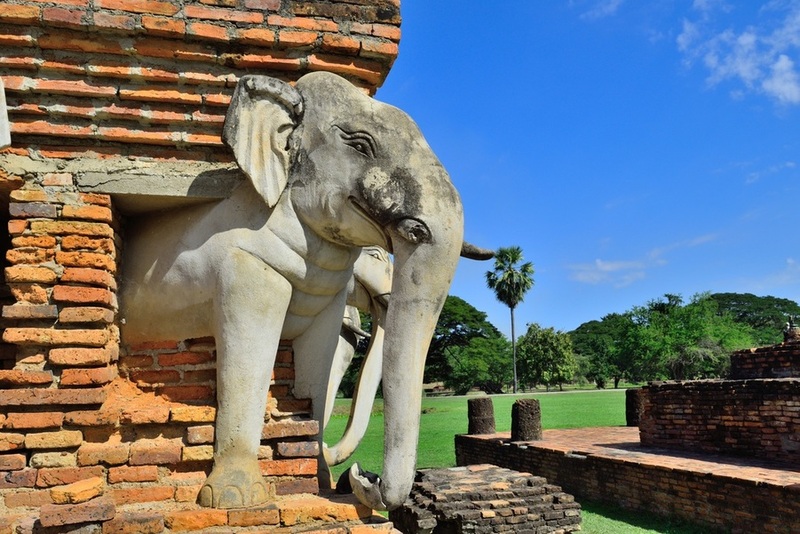 A single journey through Thailand can easily include: lying on the powder white sand beaches of Koh Samui, SCUBA diving in the crystal blue Andaman Sea, trekking to a remote Karin hillside village in Mae Hong Son, exploring the ancient temples of Ayutthaya or Sukhothai, sampling Bangkok's exotic street food, visiting a floating market or indulging in world-class shopping. With eleven international airports Thailand can be easily reached from dozens of countries on every continent. Thailand’s largest and busiest airport, Suvarnabhumi International Airport (BKK) in Bangkok, is a popular gateway not only for travelers visiting Thailand but all of Southeast Asia. Overland travel into and from Thailand is very popular particularly with budget travelers and backpackers. Currently (June 2017), there are 21 land border crossing points open to foreign travelers. Overland travel is possible between the following countries: Cambodia (6 crossing points), Laos (7 crossing points), Malaysia (7 crossing points) and Myanmar (3 crossing points). Although single and multiple-entry tourist visas can be obtained through Thai embassies and consulates, citizens from over 50 countries are granted tourist visa exemptions for visits of thirty days or less. Travelers who wish to remain in the country longer than 30 days can extend the waiver for an additional 30 days for a fee of 1900 Thai Baht (THB). It should be noted that the full thirty days is currently (June 2017) being issued at all land border crossings points as well. With its modern airports, discount domestic carriers, efficient railway system, and modern highways, travel in Thailand is safe, easy, convenient and economical. Budget travelers and back packers will appreciate the fact that most of the country’s most popular destinations can be reached inexpensively by train, bus or a combination of the two. The main tourism hot spots will all have travel agencies with English-speaking staff who can organize all types of transportation for a very modest fee. Operated by the State Railway of Thailand (SRT), train travel in Thailand is a very safe, inexpensive and reliable option which provides visitors a fantastic opportunity to see the country’s breathtaking scenery while gaining a glimpse into the daily lives of its people. Thai people are very friendly and you cannot help but interact with them on platforms and railcars. They are more than willing to help visitors navigate the rail system and are generally up for a chat. Visitors should take some time to study the schedule and fare scheme of the State Railway of Thailand. 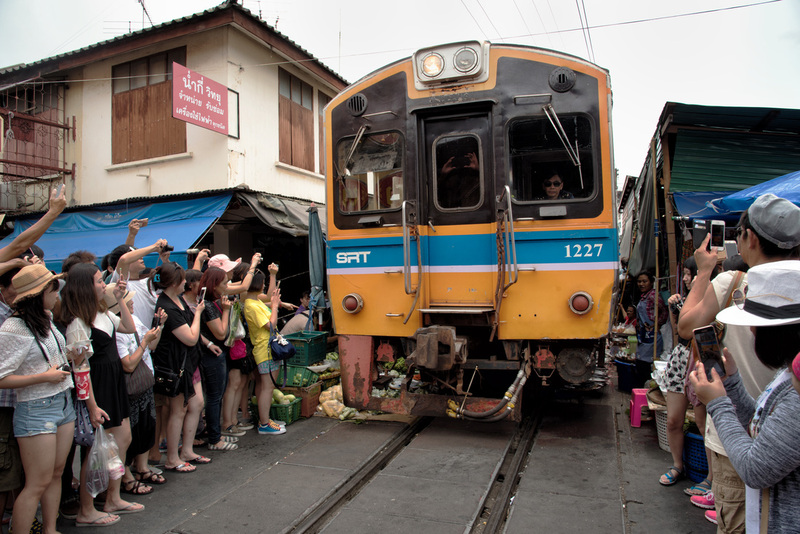 Upon doing so, it will become quickly apparent that train travel in Thailand can be extremely inexpensive. ​A useful resource for planning train travel in Thailand, and all of Southeast Asia, is the website seat 61. We relied heavily on this site when organizing our train journeys through Myanmar, Thailand, Sri Lanka and Vietnam. 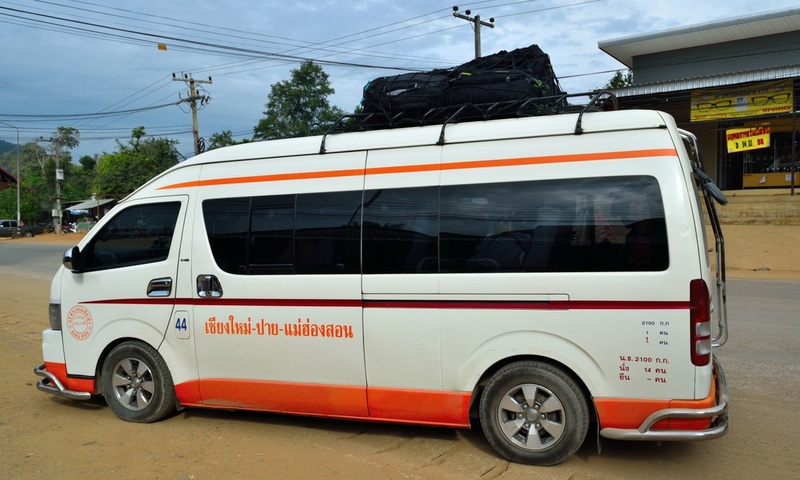 Buses and mini-buses (vans) is another convenient and inexpensive way to travel in Thailand. Buses are a vital transportation method for locals as well as tourists and even some of the country’s smallest towns are on bus or van routes. Local buses are often crowded and uncomfortable but long distance bus travel is usually done in large, comfortable, air-conditioned motor coaches. See the Chiang Mai page for a map​ of our version of the "Mai Hong Son Loop", partially completed in comfortable mini-buses like the one pictured on this page. Starting in Bangkok and ending in Chiang Mai, the total bus fare for the five legs was approximately $30 USD.